Replacement Front Right Speaker (System Control Speaker) for Logitech Z506 5.1 Surround Speaker System. 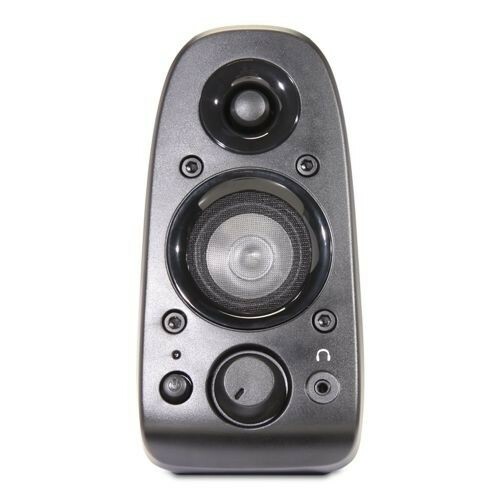 Replacement Front Right System Control Speaker for the Logitech Z506 Speaker System. This is the Front Right Channel Speaker only. If you broke or damaged your Z506 speaker set and need a replacement front right speaker this is the direct replacement part. This is the speaker with the Power/Volume Control and Proprietary Cable Connector.